The Sacramento Police Department will be conducting a sobriety and driver license checkpoint on Saturday, September 3, 2016. It will begin at 7:30 p.m. and run for five to seven hours and will be conducted on Norwood Avenue near Silver Eagle Road. 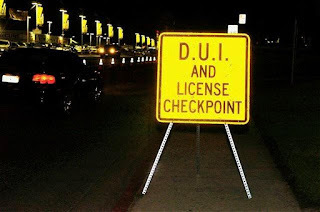 The deterrent effect of DUI checkpoints is a proven resource in reducing the number of persons killed and injured in alcohol or drug involved crashes. Research shows that crashes involving an impaired driver can be reduced by up to 20 percent when well-publicized DUI checkpoints and proactive DUI patrols are conducted routinely. In California, this deadly crime led to 802 deaths and nearly 24,000 serious injuries in 2012 because someone failed to designate a sober driver. Nationally, the latest data shows nearly 10,000 were killed by an impaired driver.